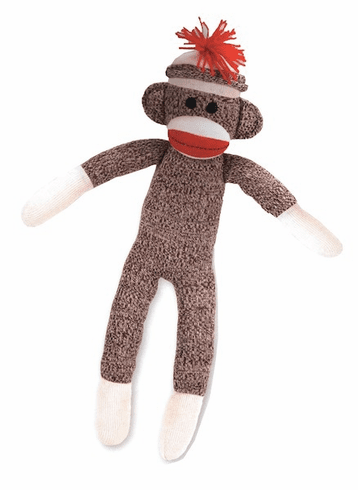 Schyling designed sock monkey. This stuffed toy is classic, retro and cool. Measures 20" tall.